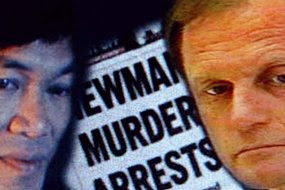 Phuong Ngo was convicted [framed] for the murder of Labor MP John Newman. Former Fairfield councillor Phuong Ngo has spent the past seven years [in solitary confinement] serving a never-to-be-released sentence at the high-security Supermax jail, in southern NSW, for murdering state Labor MP John Newman. The Cabramatta MP was shot outside his south-west Sydney home in September, 1994. A directions hearing into the review has discussed the need to determine how long it should take and whether a counsel assisting should be appointed. Chief Justice James Spigelman ordered the review after receiving a submission from Australian National University legal academic Hugh Selby on behalf of Ngo. Senior police were furious when the review was called last month, saying they had every confidence in Ngo's conviction and could answer every question the inquiry could raise. They said it would cost millions of dollars and would only lead to a vindication of Ngo's imprisonment. Quote: Do they mean they might try and find the person who did it? Yay!